Originating in the rugged land of Norway, the Norwegian Elkhound dates back thousands of years and is one of the oldest breeds from the area. Along with other dogs from Norway, the Norwegian Elkhound was a beloved member of the Vikings and would join them on all escapades that needed a furry companion. Back in the day, they were also loved for their hunting skills, but today you will most likely see them participating in flyball, agility training, lure coursing, and herding. The Norwegian Elkhound has a bold personality and a clownish sense of humor. They are also very independent by nature, which can make training efforts quite difficult if they have an inexperienced owner. They are also known to be exceptionally loyal and will protect their family if they are ever in harm’s way. On a regular basis, the Norwegian Elkhound will be looking to be a part of the family any way they can, whether it be at the dinner table or on the couch. All in all, these companions are playful, loving, and protective- perfect for a family home. An owner of the Norwegian Elkhound has to be very consistent when trying to train this breed. They tend to have a stubborn streak and will rebel against their owner if they are being forced to do something that they do not want to do. If you are having trouble training your Norwegian Elkhound, try enrolling him in a puppy obedience course for professional assistance. If you are considering owning a Norwegian Elkhound, be prepared to take him on 30-minute walks at least two times a day. These canines are a highly active breed and need both mental and physical stimulation to stay happy and healthy. Daily exercise is also critical for this breed because they are prone to canine obesity, and need to constantly be exercising to maintain a healthy weight. On average, the Norwegian Elkhound lives to be about 12 to 15 years old. Because of their great companionship and impressive athleticism, the Norwegian Elkhound is a fairly popular breed in the United States. According to the American Kennel Club, these dogs are ranked as the 94th most popular breed in the U.S. today. 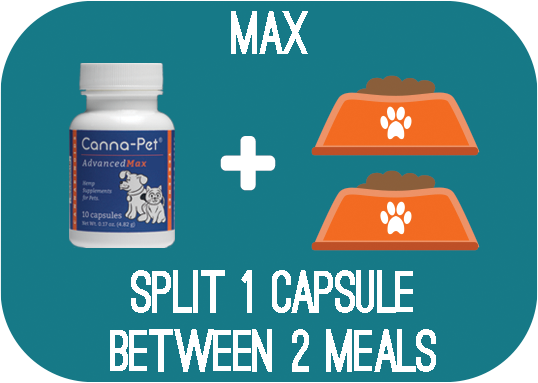 This breed needs between 2 to 2 ½ cups of food every day, split into two equal meals. When choosing your dog food, look for products that contain all-natural and nutritious ingredients. Whatever you do, make sure to stay away from anything containing harmful fillers, byproducts, and preservatives that can be detrimental to your dog’s overall health. Normally throughout the year, the Norwegian Elkhound requires a weekly brushing, however when it’s shedding season, be sure to brush your pup every single day. This breeds coat naturally repels dirt and debris, making them a fairly clean dog without too much maintenance. They should only be bathed when they get into a mess, and if this happens, make sure to use a high-quality, veterinarian recommended shampoo. Aside from their coat health, make sure to brush your dog’s teeth several times a week to avoid dental disease. Also, clean out his ears with a gentle cleaning solution to prevent infection. Are Norwegian Elkhounds Good with Kids? As long as the Norwegian Elkhound has been properly trained, they can serve as a perfect companion for children. This breed will love to play and protect the little ones all day long, just be sure that they are not dominating or controlling in any way. As always, make sure a parent is around to supervise any encounters between a child and a dog. Hypothyroidism: Hypothyroidism in dogs occurs when the thyroid gland produces an insufficient amount of hormones. When this happens, a dog may become lethargic, experience a change in weight, or develop some type of skin condition. Luckily for dogs that are diagnosed with this condition, hypothyroidism can be cured by taking a synthetic hormone pill. Progressive Retinal Atrophy: This degenerative eye problem occurs when the retina in the eye becomes deteriorated. Once an animal is affected by canine PRA, they begin to experience vision loss and will eventually become blind. Sebaceous Cysts: Sebaceous cysts can occur underneath the skin and usually require surgical removal. Kidney Disease: Kidney disease is a common health condition that affects Norwegian Elkhounds. Although this can cause a number of different problems, this disease occurs when the kidney is no longer able to function how it should, resulting in total kidney failure. Symptoms of this disease usually include vomiting, weight loss, diarrhea, lethargy, or seizures.